Movement is the Record Cal. 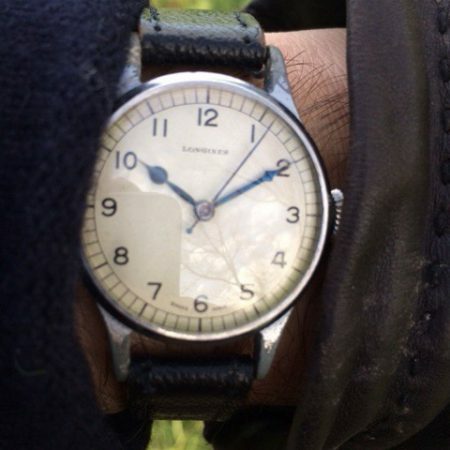 022K Swiss Made 15 Jewel Mechanical Hand-Winding Movement. 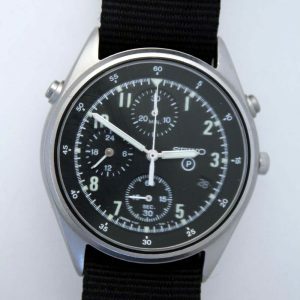 Case is the correct Matt-Finish All Stainless Steel Screw-back Case with British Military Issue Markings W.W.W. 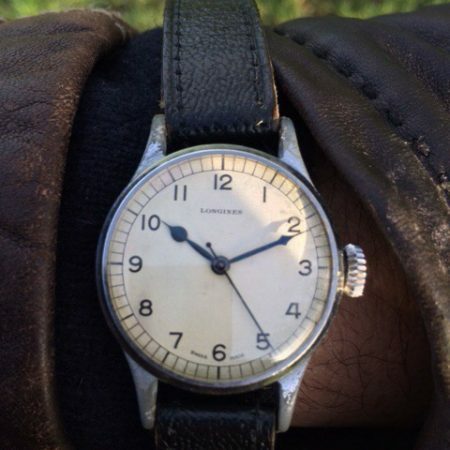 L23178 541025 on the Case-Back. 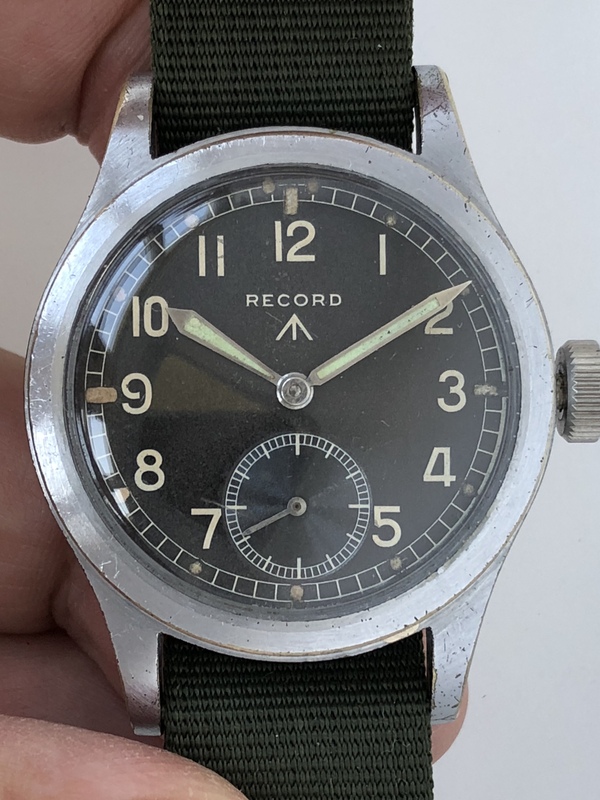 This is one of the best examples of this British Army Military wristwatch from WW2 made by Record (later Longines) that we have ever seen. 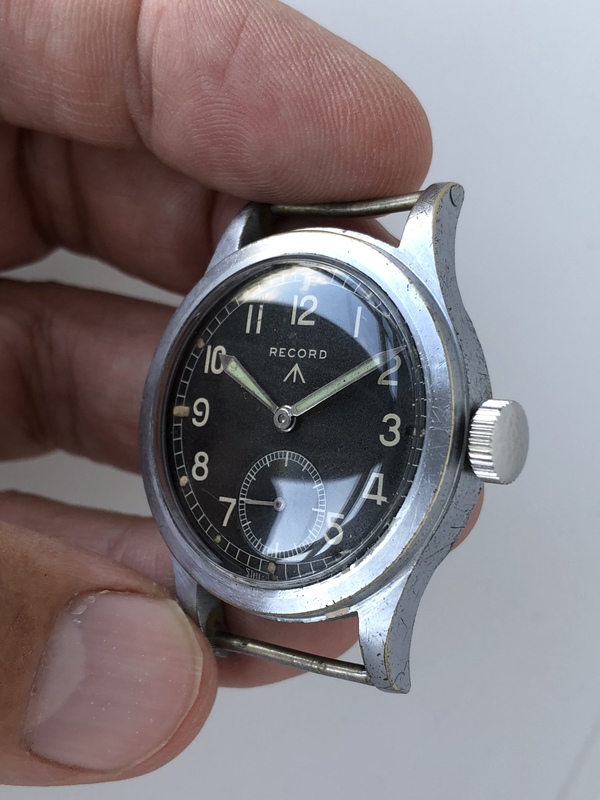 It is relatively rare, with only an estimated 25,000 produced during WW2. 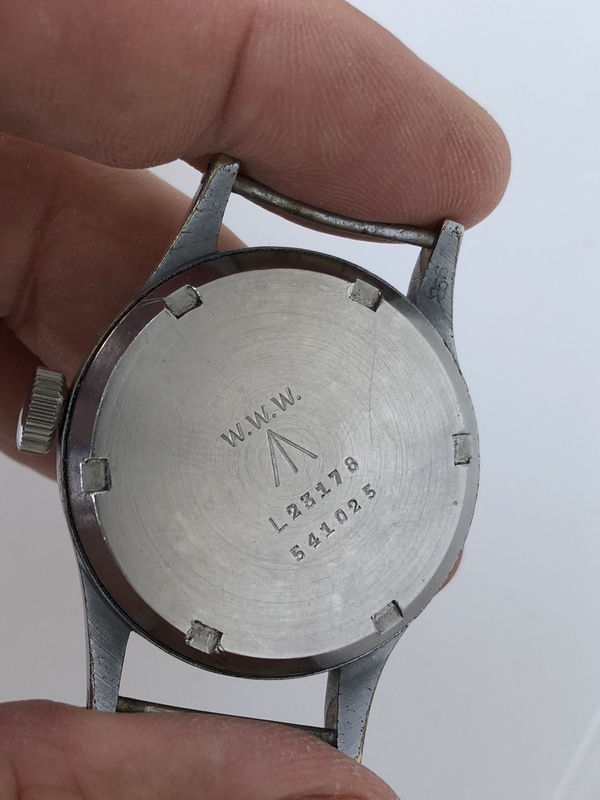 The case-back has WWW (standing for “Watch Wrist-let Waterproof”) and Military Issue Numbers, L23178 on the case-back. 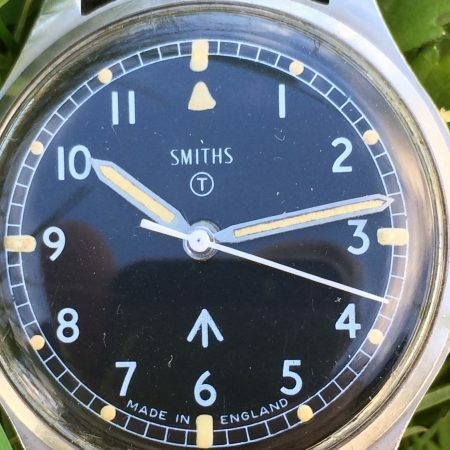 In many instances, the case-backs of these military watches were switched during servicing. 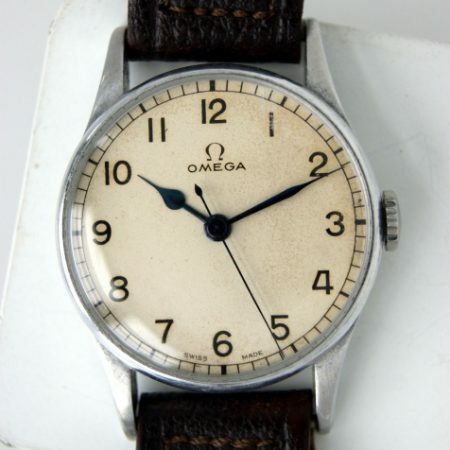 Original large military winding crown. 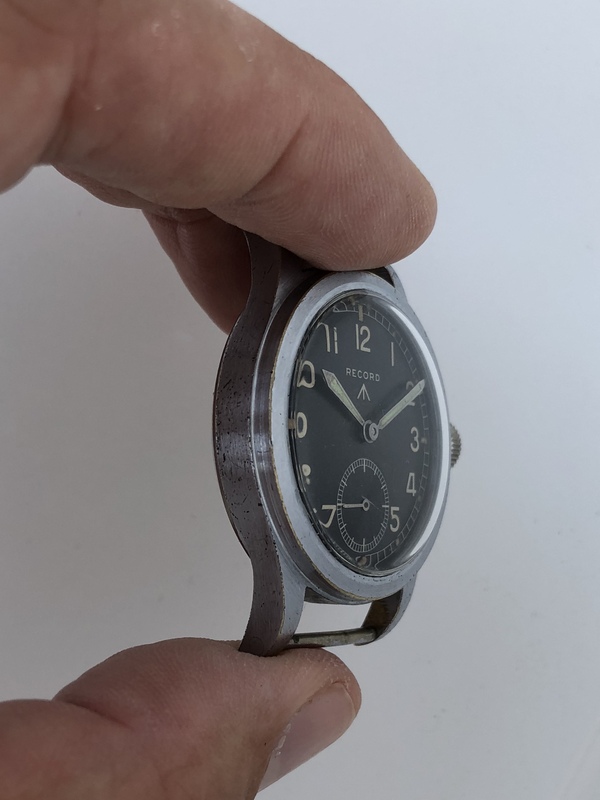 One of the so-called “Dirty Dozen” twelve models of wristwatches officially issued to the British Army during WW2. 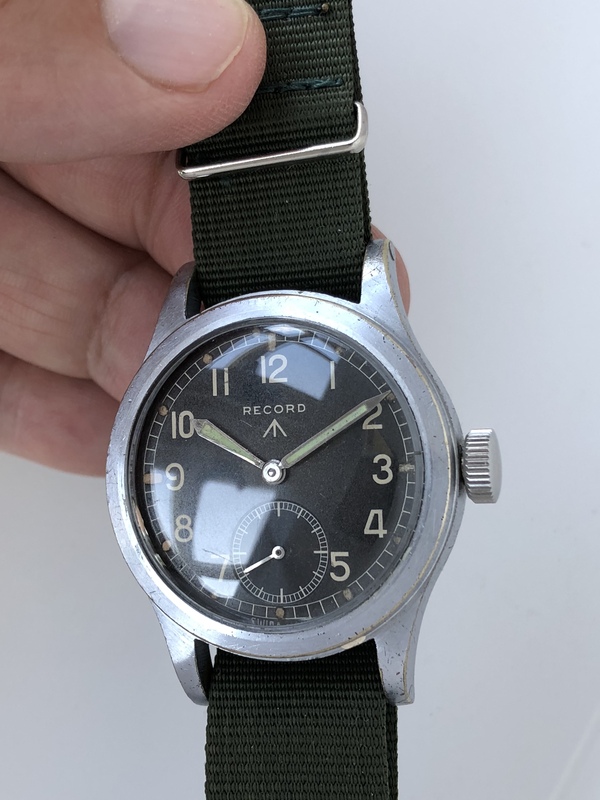 In the 1940s the British Ministry of Defence produced a standard specification for watches to be issued to the armed forces and these were made by Buren, Cyma, Eterna, Grana, Jaeger Le Coultre, Lemania, Longines, IWC, Omega, Record, Timor and Vertex. 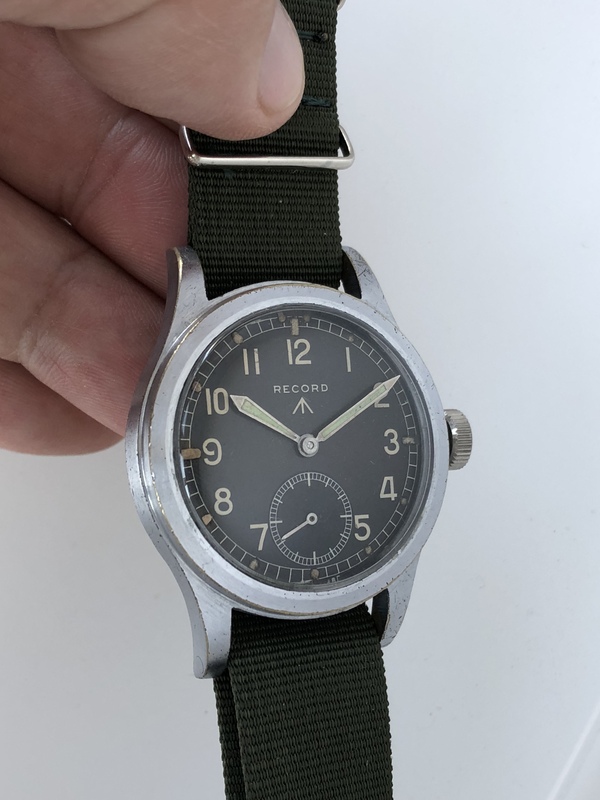 This is one of the nicest examples of the Record military issue wristwatches that you will find. 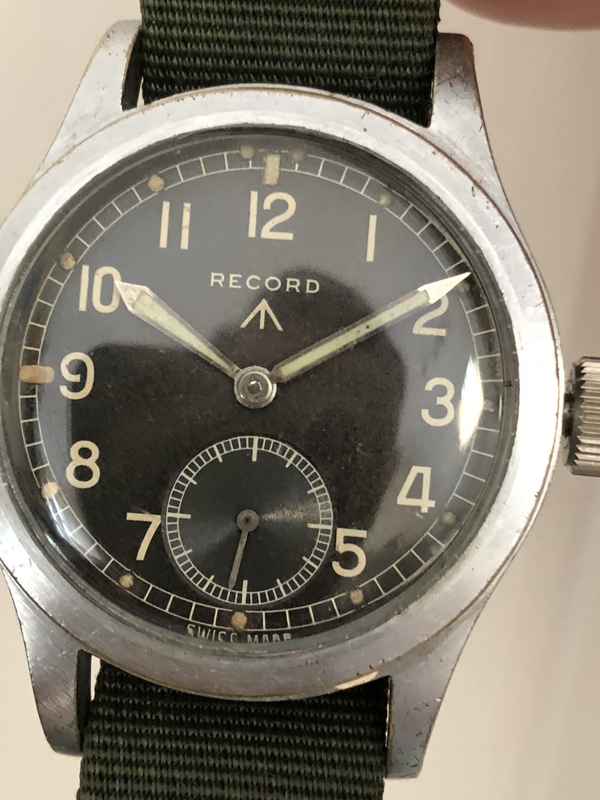 In summary, a really superb example of one of the so-called “Dirty Dozen” twelve watches issued to the British army during WW2, this Record is easily one of the best original examples that we have seen of this collectable military watch.